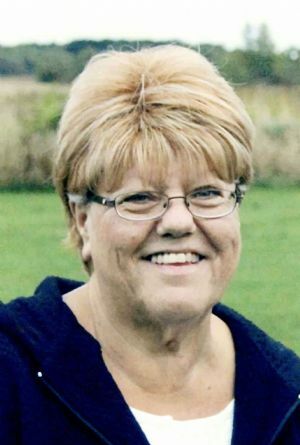 Barbara K. Nickoli, age 70, of Ripon, WI, passed away on Tuesday, September 25, 2018, at the Hospice Home of Hope in Fond du Lac, WI. Barbara was born July 21, 1948, in Almond, WI, the daughter of Raymond and Norma (Pomerenke) Mallison. She graduated from Almond High School. On April 2nd, 1977 she married Donald Nickoli. She worked at the Ripon Good Cookie Factory for 48 years until she retired, then helped her daughter, Michelle with her in home daycare. She loved her trips to the casino on her spare time. Survivors include her daughter, Michelle Nummerdor of Ripon, WI; son, Michael Nickoli of Ripon, WI; grandson, Travis Nummerdor of Ripon, WI, great-grandson, Easton Garlow-Nummerdor of Fond du Lac; her sisters, JoAnn Schulke of Waupaca, WI, Elaine (Gaylord) Abrahamson of Waupaca, WI, Eldean (Phillip) Kalata of Wisconsin Rapids, WI, Karen Riske of Clintonville, WI, Sandy Vroman of Wautoma, WI, Diane Pacewitz of Redgranite, WI, Carolyn (friend, Martin) Cauley of Redgranite, WI; brothers, Lavern Mallison of Wisconsin Rapids, WI, Dennis (Carol) Mallison of Stevens Point, WI. Barbara is further survived by several nieces, nephews and many dear friends. She is preceded in death by her parents, husband, Donald Nickoli; son-in-law, Bryan Nummerdor; brothers, Donald Mallison, Roger Mallison; brothers-in-law, Verlyn Schulke, Orville Riske, Donald Vroman, Donald Pacewitz, Robert Cauley, Robert Nickoli and sisters-in-law, Alice Nickoli and Dorthy Braford. Visitation for Barbara will be held on Saturday, September 29, 2018, from 9 � 12:00 pm at Butzin-Marchant Funeral Home, 515 Mayparty Dr., Ripon, WI 54971. Memorial Service for Barbara will be held on Saturday, September 29, 2018, at 12:00 pm at Butzin-Marchant Funeral Home with Pastor Donald Deike officiating. Inurnment will take place at a later date at Rosendale Cemetery in the Village of Rosendale. A memorial is being established in her name.